I’ll also be re-reading this one this year to celebrate its 200th. Was actually planning to post the review on Austen’s birthday (18 Dec). Very interesting points! I agree that S&S has a good dose of drama and always blamed age for it. I think eventually Austen realize that you don’t need so many gimmicks to get emotional involvement. And also agree re. Edward, he is the weakest of Austen’s hero – maybe by that time she hadn’t met enough young men from which to draw inspiration (young men that were not her brothers)? Interesting that you didn’t mention which of the sisters you identify with – obligatory procedure in any S&S review! @ Vishy: I haven’t read Mansfield Park, but I have seen the film version you mention at least two times. That said, not much of it has stuck with me, so I’m sure reading the book will be an experience all its own. And I have both read The Jane Austen Book Club (way back in the day) and seen the film. I know a lot of people didn’t like the book, but I seem to remember thinking it was ok, and I did like the movie too. @ Thomas: I have to say that by & large, the Austen movies are done very well, so I always feel like as long as people see those and enjoy them, then that’s ok by me! And Emma Thompson really is brilliant! I hadn’t thought of Pym adaptations, but I can only imagine the deft touch she would lend them! @ Alex: Oh, I am not nearly organized enough to have planned far enough ahead to post this on Austen’s birthday… Fail for me! 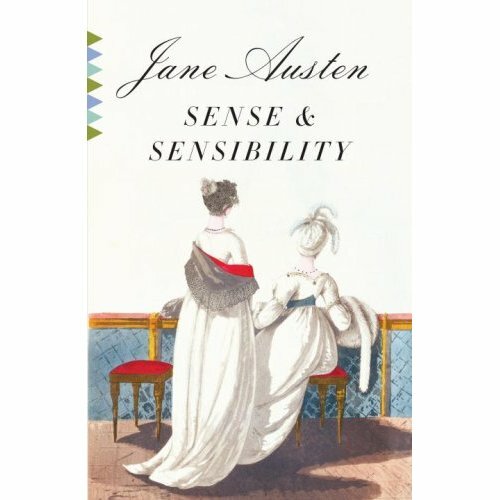 @ Wallace: I have a few Austen companions that I’ve been given as gifts, but I haven’t dipped into any of them, perhaps because I keep discovering so much on each re-read on my own? I just never get tired of Jane! @ Pam: I know there are people out there who I respect who don’t get Jane Austen, but she and I are just so simpatico. I might suggest trying one of the movie adaptations (like this one, or the Mirimax version of Emma, or the dreamy 5-hour BBC Pride & Prejudice), if you’d like to get a quick sense of why so many of use are Janeites. Those adaptations really capture the romance of her books as well as her wonderful sense of humor, I think. I am on the same Austen rationing plan as you are! I have a few left to read, and only have read three so far. I didn’t read your whole review for fear of the spoilers, but I think you might have just convinced me to make this one my choice for this year. I must let you know what I think of it when I am done! I have yet to make friends with Jane. Every time I try to read one of her books I fail. I just. don’t. get it. S & S has never been my favorite Austen mainly because I also found Edward to be an unsatisfactory hero. I loved the movie though. There was also an Indian movie version based on the book, and I loved that too. It captured the spirit of the book so very well. @ softdrink: I am sorry you don’t feel the Jane love! I just find her books so wonderfully comforting and funny and romantic; they’re pretty much everything I look for in a book! @ Nishita: It’s so weird because I know I’ve read this book before, perhaps even twice before, and I never once previously felt disappointed by Edward. But this time I found him rather unromantic and kind of dastardly. Also, what is this Indian movie based on S&S? I love a good Bollywood flick! You make me want to reread Austen! Ever since finishing Northanger Abbey and Lady Susan not so long ago, I’ve had to deal with having no new Austen left. I suppose there is juvenalia I haven’t gotten to yet, but that isn’t nearly as excited. But I’m only a little sad about this, since reread Austen is so much fun! Hi Steph, here I am a day late and a dollar short as usual! Very much enjoyed your S&S review. As I am now Mrs Dashwoods age(!) I think Edward less of a sap than I did when I was younger, but I really can’t think Marianne will ever be happy with Colonel B! I’d like to see the Emma Thompson film, now. I envy you not having yet read Persuasion – I hope you will review it here when you do! Wonderful review, Steph! I really loved S&S and think Emma Thompson did a great job with the adaptation (fortunately I saw it after reading the novel!). I like Persuasion even more and hope that you enjoy it.